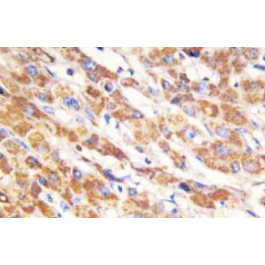 Bcl2 family is a key regulator of apoptosis that functions to either inhibit or promote cell death. Over-expression of members such as Bcl2 and BclxL inhibit the apoptotic process. 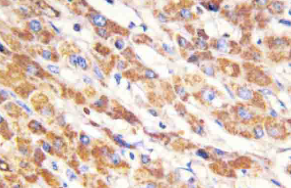 The Bcl2 family members are also characterized by dimerizing to further modulate apoptosis. Bag1, for example, has been found to form a heterodimer with Bcl2 resulting in the enhancement of the anti-apoptotic effect of Bcl2. Bax and Bak have been shown to play a critical role in cytochrome c release from mitochondria and thus initiate apoptosis. Bax exerts a pro-apoptotic rather than an anti-apoptotic effect on cells. Bax targets mitochondrial membranes, inducing mitochondrial damage and cell death in a caspase-independent manner. Bad plays a critical role in the Bax-mediated apoptosis pathway by dimerizing with BclxL, causing the displacment of Bax. The displacement of Bax allows apoptosis to proceed. BclxS, a shorter version of BclxL (lacking amino acids 126-188), apparently utilizes a different pathway than Bax to induce cell death. 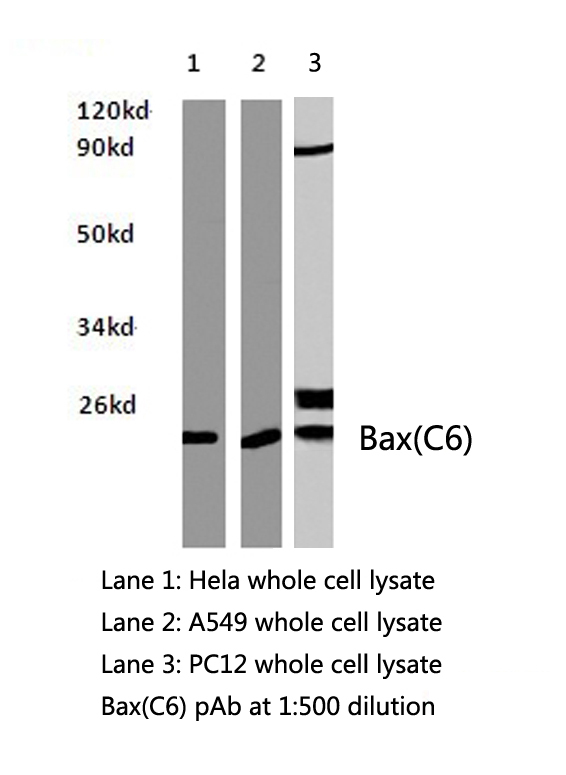 This antibody detects endogenous levels of Bax protein.